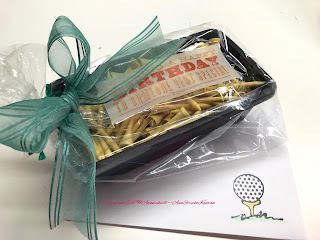 Today is my Husband's birthday, amateur golfer on weekends and business man during the week. At home he's Honey and Dad! So as it happens every year we never know what to get him. Let's admit it, he is difficult to shop for. Everyone that knows him, also knows how much he LOVES to play golf! 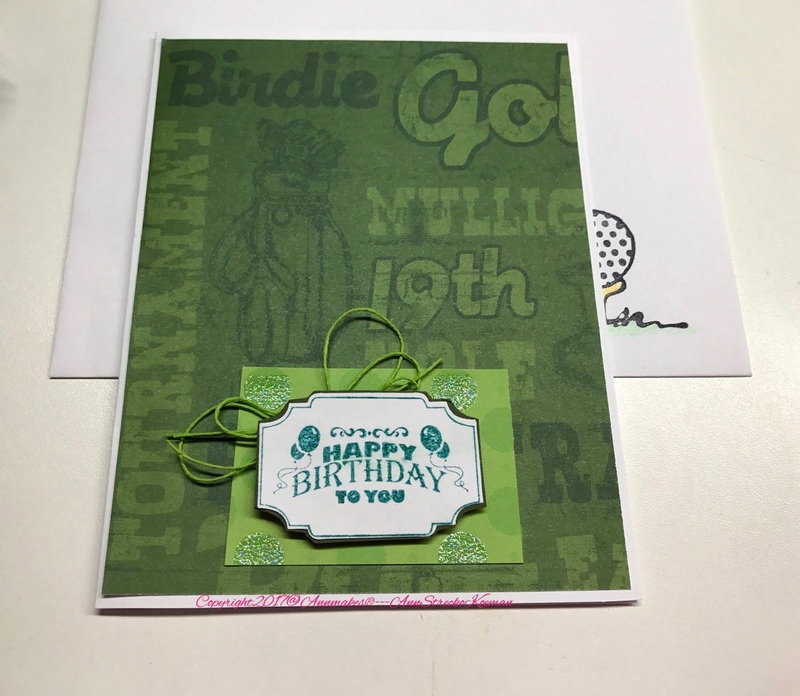 Which is why I amde hime this golf theme Birthday Card, and we gave hime A LOT of Golf tees for him to use in his beloved hobby, plus he played a round of golf, and we are going out to a lovely dinner at a restaurant. The amazing part of all of this is that I bought most of the supplies at none other than Dollar Tree! Goodness knows, golfing is not a cheap hobby. HA ha ha. 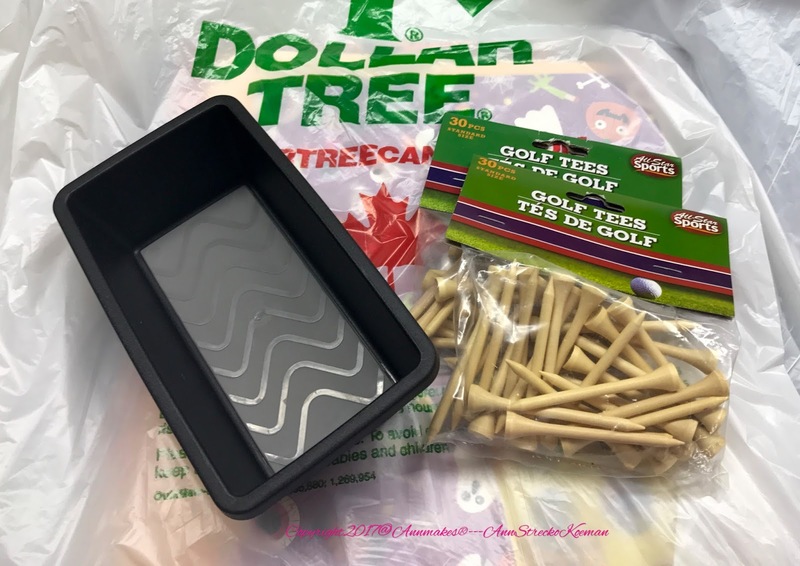 The Tee Tin would also make a nice gift for you to make and give to the golfer in your life. Whether it be for a Birthday or any holiday. All you need is"
A bin, Tees, and a cello bag. The card I made with some white cardstock, and the green papers, ink, and stamps were from my stash. That's it! A short post about a small gift but the gesture was big and from the heart.